Backed by our affluent industry acquaintance, we present a comprehensive series of Metallic Wiper Seal. To accomplish the numerous requirements of the clients, we are engaged in providing a high quality range of Metal Wiper Seal. we offring wide range of pu metallic wiper seal for Presses, Fork lift & material handling equipments, Injection moulding machines, Standard cylinders, Mining &construction machineries. Wiper seal DS-044 is a double acting rod wiper with metal casing for open housing. 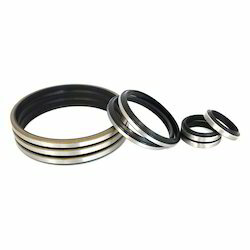 Our organization has been rated highly in offering Wiper Seal to our clients. Developed using excellent quality material and provided with excellent adhesive properties; Wiper Seal is rust proof and is immune to other factors such as moisture. 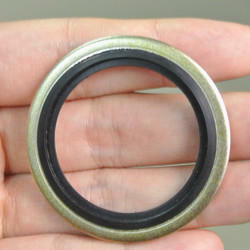 Owing to its long shelf life; Wiper Seal is widely demanded among our client base.